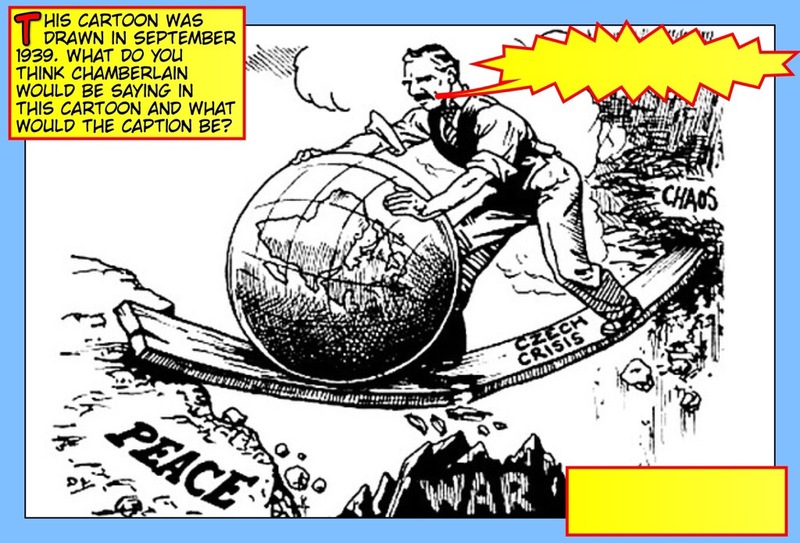 Overview: Provide students with a photograph of a particular moment in history, then ask them to write speech-bubble PostIt notes to imagine what the characters might have been saying to each other. For cartoons, students have to provide a caption. This works even better if the cartoon has an original caption that it can be compared to (e.g. “The Spineless Leaders of Democracy“). Obtain some ‘thought bubble’ PostIt notes and add these too. This can highlight the difference between public expression and private opinion. Give different images to different students. They add one PostIt before passing the picture on to somebody else to develop further. Repeat until all major characters in the picture have ‘spoken’ and / or ‘thought’. Give pairs of students the same picture. The first student has to produce a ‘dialogue’ designed to make one character appear heroic/a success, and another villainous/a failure. The second student does the reverse. Compare findings with the class. Which interpretation is more accurate?